Why is it important to understand protein stability? Protein stability is a major concern for biotechnology, food industries, pharmaceuticals, and academic scientists. A common goal that many in vitro protein studies strive for is the creation of an environment in which protein samples can stably retain native conformations. If proteins of interest adopt non-native congregating structures, normal function may be lost. 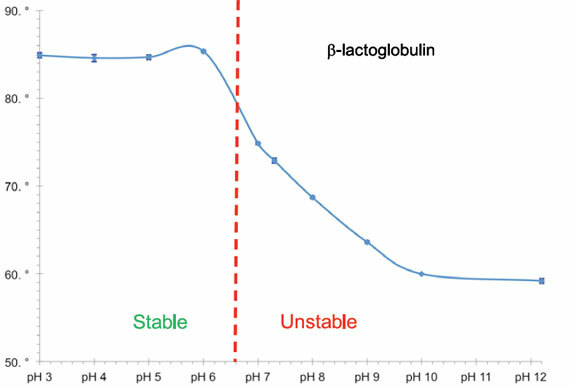 Protein stability is essential for expressing, purifying, and storing proteins and is needed for functional studies using native and recombinant proteins. 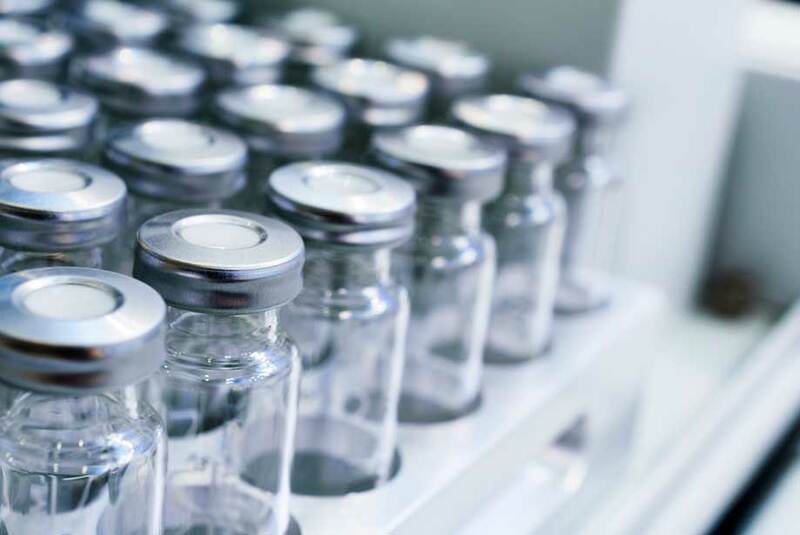 Processes ranging from large-scale industrial protein production and high throughput screening to the more specific pharmaceutical protein-drug interactions and protein crystallization can be impacted. Conditional factors such as buffer pH, salts, mechanical agitation, and temperature are just some of the more common causes of undesired protein aggregation. Protein stability screening is essential as working with proteins can often be challenging and a time-consuming process. What are efficient methods to detect protein stability? Many thermal shift analysis procedures have utilized spectroscopy to assess protein stability. Typical applications have included observing the helix-coil transition in proteins upon thermal denaturation, as well as for monitoring the effects that buffers, such as sodium acetate or sodium chloride, have on overall protein thermal stability. Prior to the introduction of the PROTEOSTAT® Thermal Shift Stability Assay Kit, protein aggregation-based thermal denaturation assays routinely employed devices to raise the temperature of the protein sample in a stepwise fashion. Environmentally-sensitive dyes, such as ANS and SYPRO® Orange, were applied to the detection of protein unfolding in thermal shift assays by interacting with exposed hydrophobic regions generated by partial or full unfolding of proteins. In conjunction with monitoring of protein aggregation through light scattering or turbidity measurements, a sigmoidal curve would be recovered. 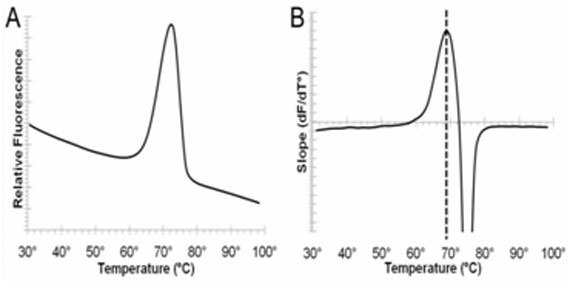 Examination of the sigmoidal curve inflection point provided the Tm (melting point), or the temperature at which 50% of measured protein is unfolded. Early thermal shift assays were cumbersome, typically required relatively high concentrations of protein, and provided a very limited assay dynamic range. Additionally, required assay equipment was often expensive and unavailable in standard laboratories. Proteins containing easily accessible hydrophobic regions and detergent exposure often caused unwanted interactions with the aforementioned dyes, which produced high fluorescent background. 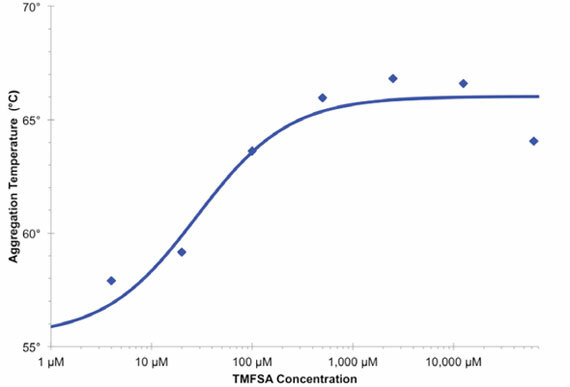 The PROTEOSTAT® Thermal Shift Stability Assay provides an improved thermal shift approach for assessment of protein stability through directly monitoring protein aggregation, rather than protein unfolding and by minimizing problems encountered with the cited environment-sensitive dyes, such as high background fluorescence from their interaction with detergents, membrane proteins, or hydrophobic compounds. The PROTEOSTAT® TS dye is a proprietary 488 nm excitable molecular rotor probe that, under standard aqueous conditions, is minimally fluorescent. Upon binding to the surface of aggregated proteins, the dye emits a strong red signal at ~600 nm, thus providing a homogeneous assay for the analysis of protein stability. The temperature at which the bulk of the protein becomes aggregated can readily be identified by the thermal shift assay. The aggregation temperature is an indicator of protein stability and can be used to optimize conditions that enhance protein stability as well as to identify ligands or drugs that bind and confer structural stability to a protein of interest. Conditions that increase the aggregation temperature increase the stability of the protein. The assay facilitates understanding of the underlying mechanisms impacting protein stability, and because it is not dependent upon measuring exposed hydrophobic regions arising from protein unfolding, it is more tolerant of detergents, micelle formation and certain ligands and proteins possessing hydrophobic characteristics. Enzo’s PROTEOSTAT® Protein Refolding and Aggregation Sensing Kit can additionally be used to identify optimal protein refolding conditions. Conditions that increase the aggregation temperature, increase the stability of the protein. Figure 1. Typical results of the PROTEOSTAT® Thermal Shift Stability Assay are shown for goat anti-mouse IgG (11.2 mg/ml at pH 7.4). Using a RT-PCR instrument programmed to ramp the temperature from 30° to 99°C at a 3°/minute rate, while reading the fluorescence continuously. The blue line represents the raw fluorescence data, and the red line shows the corresponding first derivative trace, highlighting the slope of the fluorescence intensity curve. The first derivative plot provides the aggregation temperature of the protein (Tagg: The point of maximal slope). Figure 2. 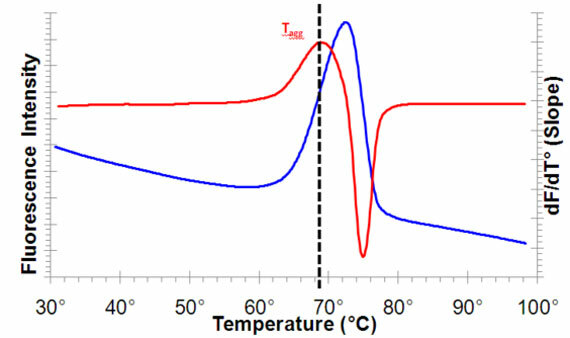 Typical data for the determination of the aggregation temperature of IgG (goat anti-mouse, 5.6mg/ml). Panel A is the raw data from the thermocycler. Panel B is a plot of dF/dT° or slope of the data shown in panel A. The dashed line indicates the aggregation temperature. Figure 3. Ligand stabilization of protein structure. Carbonic anhydrase I (1 μM) was incubated with 0 to 62.5 mM of TFMSA (trifluoromethane sulfonamide) in 25 mM MES, 50 mM NaCl, pH 6.1. The PROTEOSTAT® Thermal Shift Stability Assay demonstrates that ligand binding increases protein thermal stability by an amount proportional to the concentration of the ligand. Figure 4. Stability of a protein in different buffers. β-Lactoglobulin was diluted into 50 mM buffer at different pHs in the presence of 150 mM NaCl, and the aggregation temperature was determined using PROTEOSTAT® dye. Enzo’s catalog of widely cited and thoroughly validated products includes our PROTEOSTAT® assays for contamination monitoring, stability, and process optimization. This kit has been designed for monitoring protein stability under systematic thermal stress conditions. Please check out our Bioprocess Optimization platform for more information or contact our Technical Support Team for further assistance.